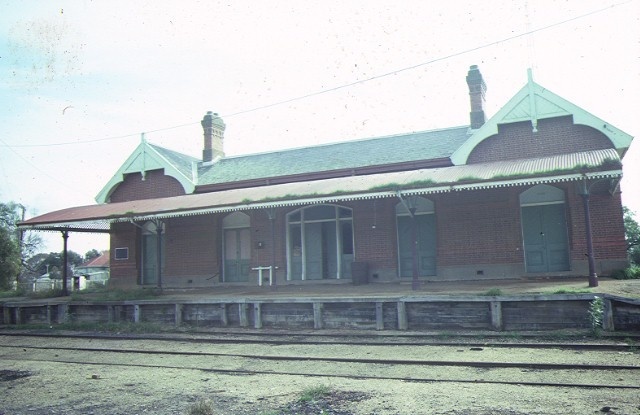 The former Rupanyup Railway Station, dating from 1890, was constructed by Sutcliffe & Hartley on the Lubec-Bolangum line for the Victorian Railways. It comprises a single storeyed, Gothic-style brick station building with a slate hip and gabled-roof. 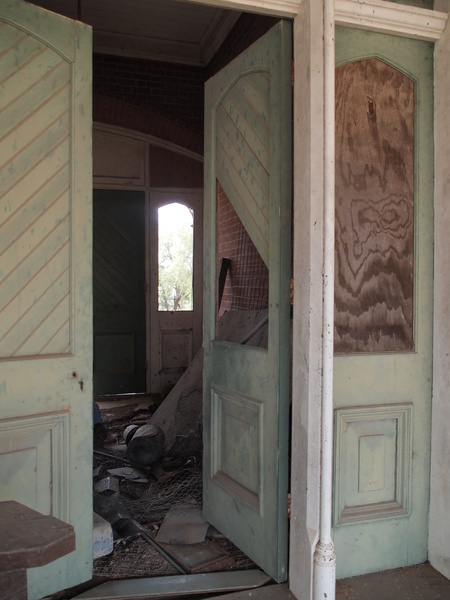 The building is symmetrical in plan, with cast iron roadside and platform verandahs. Timberwork and brickwork are generally richly decorated. There is an adjacent corrugated iron toilet shed and a low-level platform. The line has been discontinued, the tracks have been removed and the land subdivided and sold into private ownership. 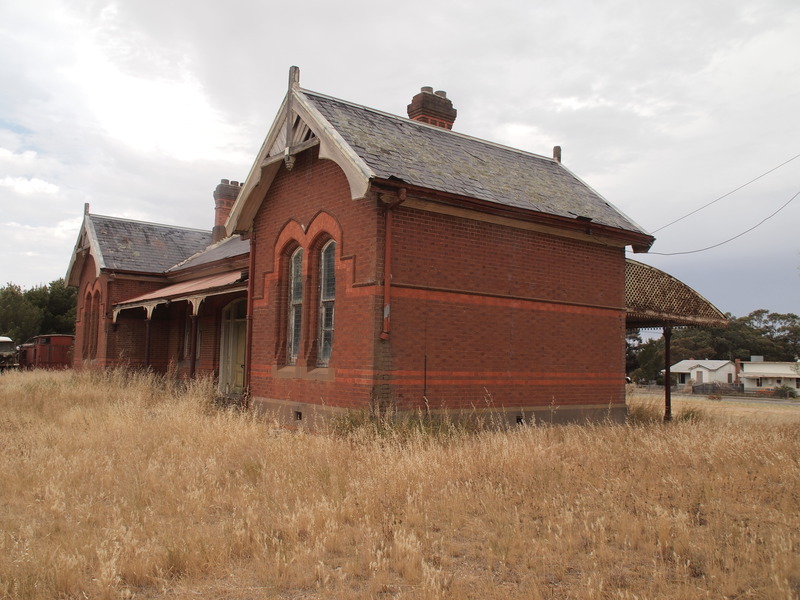 The former Rupanyup Railway Station is historically and architecturally significant to the State of Victoria. 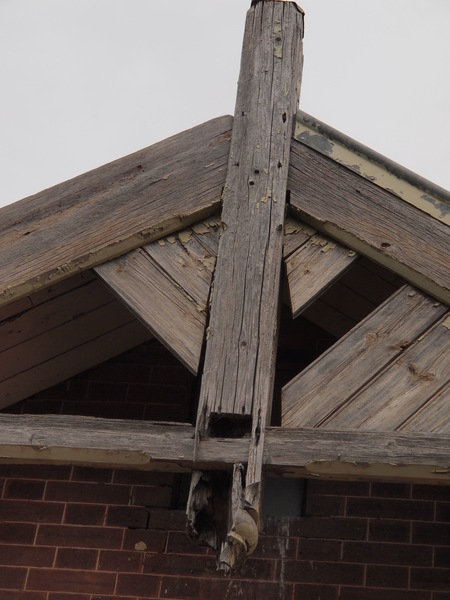 The former Rupanyup Railway Station is architecturally significant as the only intact example of the 'Rupanyup' style of station buildings, a small group of decorated, standard, Gothic style station buildings. This style of buildings consists of a 'U' shape plan with verandahs on both sides. It is a picturesque example of a substantial 'Speight' era terminus building. 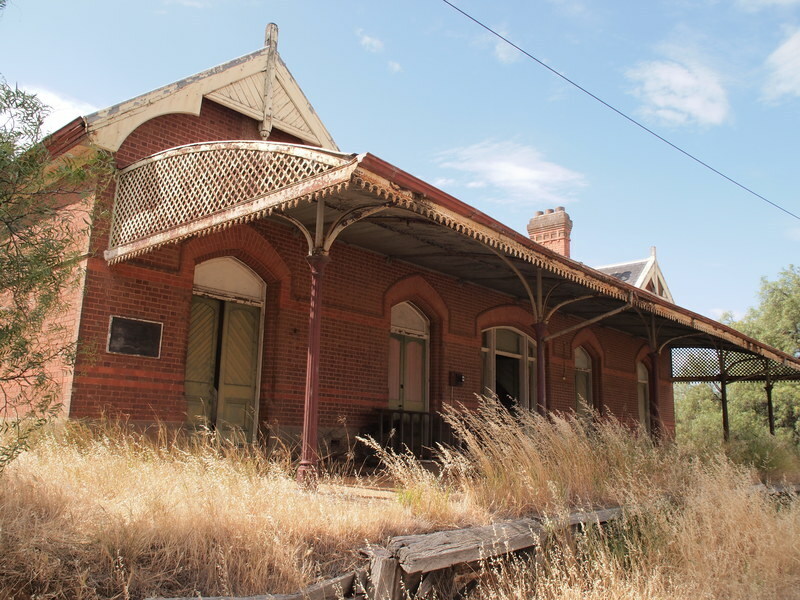 The former Rupanyup Railway Station is historically significant, recalling the long abandoned practice of building small branch railways to serve areas between the main lines, demonstrating the important role of railways in the pre-automobile era. 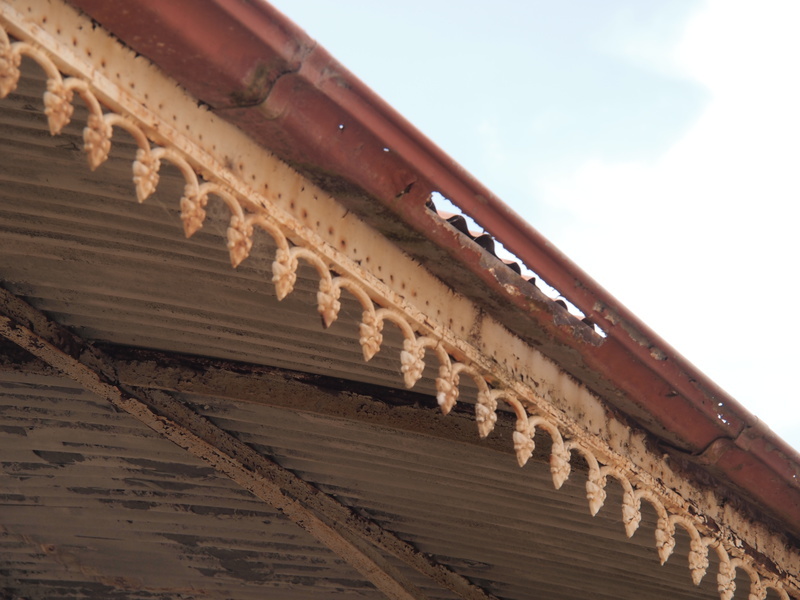 It is also historically significant as an example of a railway station constructed after the 'Octopus Act' of 1884. 1. 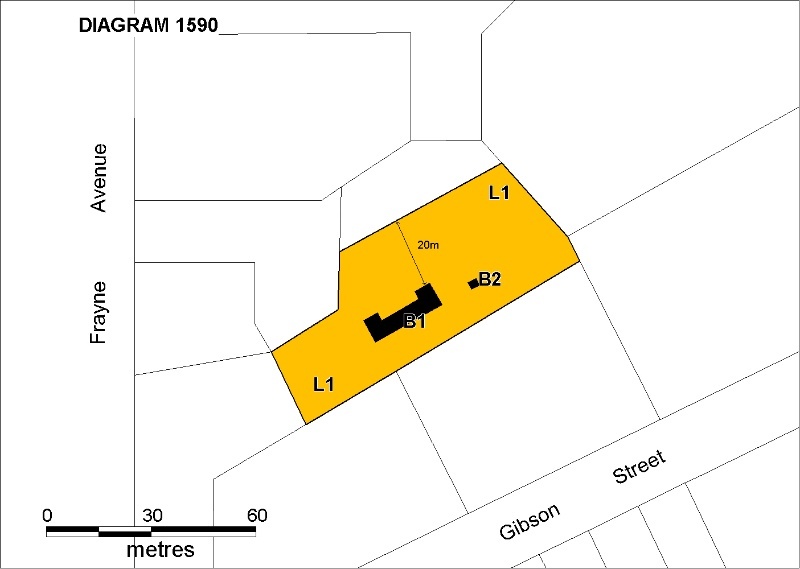 All of the place known as the former Rupanyup Railway Station including the station building and associated platform (B1) and toliet block (B2) as marked on Diagram 1590 held by the Executive Director. 2. All of the land marked L1 on Diagram 1590 held by the Executive Director being part of the land described in Certificate of Title Volume 10330 Folio 320. * Replacement of decayed fabric with fabric that matches the original design and profile. 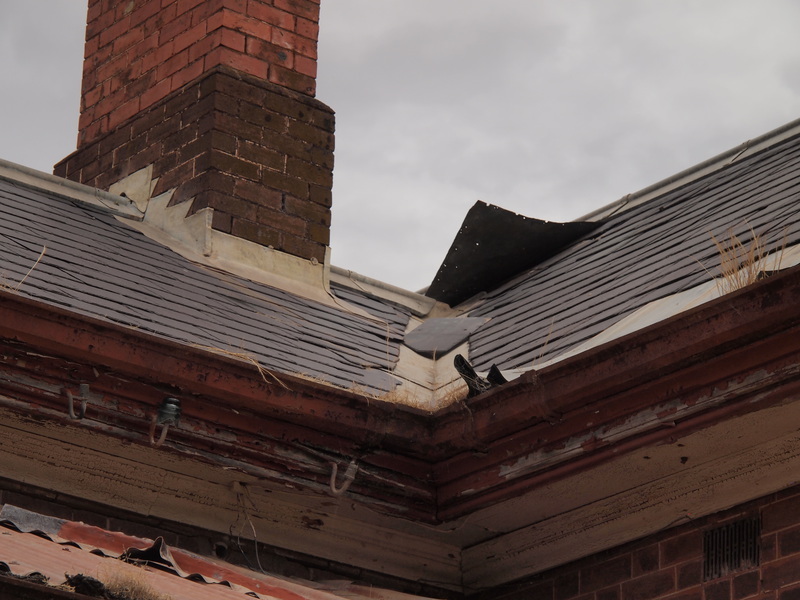 The purpose of the permit exemptions is to allow works that do not impact on the significance of the place to occur without the need for a permit. 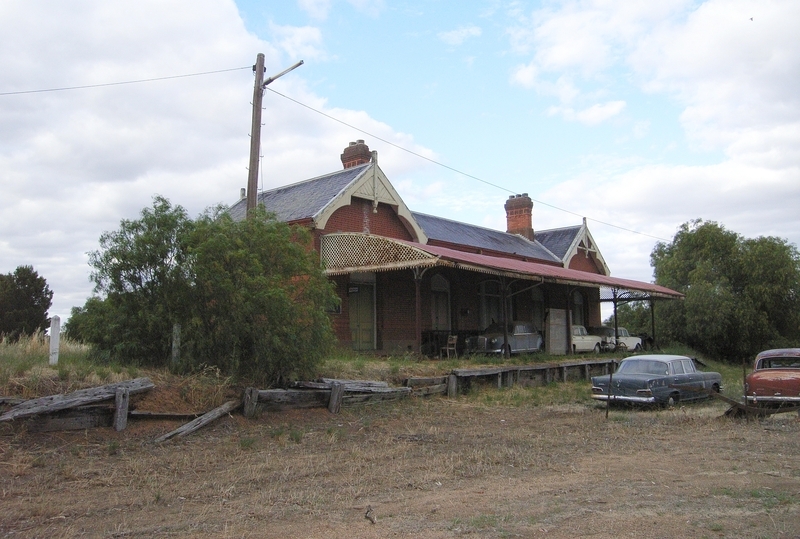 The Rupanyup Railway Station is important for its station building which is a rare example of its type. The exterior of the building is of prime importance. 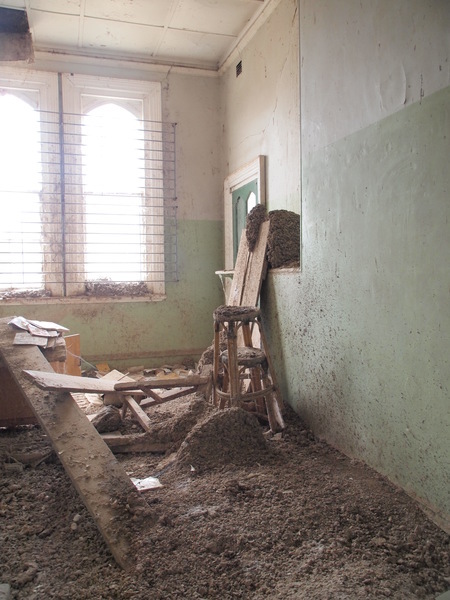 The interior is important if original fittings and fixtures still survive. 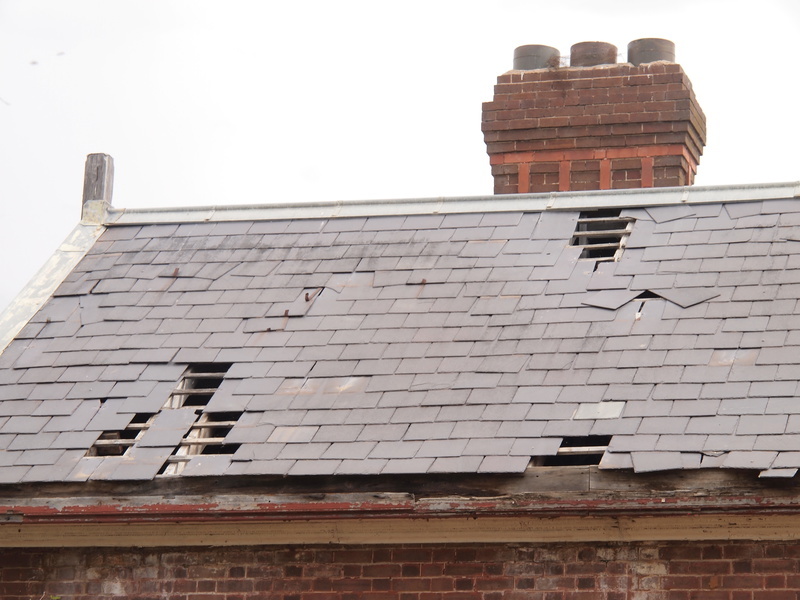 Track works and maintenance to the building and platforms are able to be undertaken without a permit.